Following how popular my previous perfume post was, I thought I'd give you my feedback on another sample I'm trying out: Hugo Boss Nuit Pour Femme. 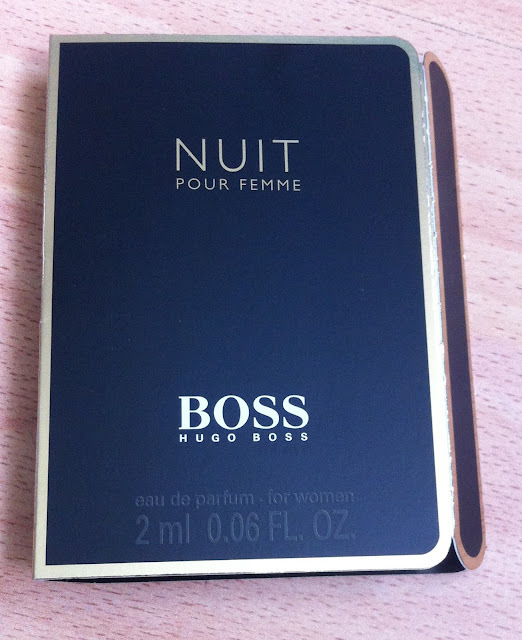 The perfume is inspired by the little black dress, and Hugo Boss are "providing the ideal complement putting the finishing touch to your effortlessly perfectly evening ensemble." The scent is designed to "reinforce the strength and sensuality that defines the successful modern woman." 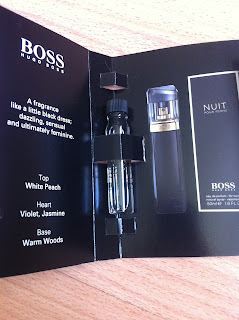 This is a woody scent, with basenotes of Crystal moss, White warm woods and Creamy sandalwood which my nose likes! It has such a fresh, clean scent that just makes you feel all polished and 'done up' making this the perfect evening perfume. 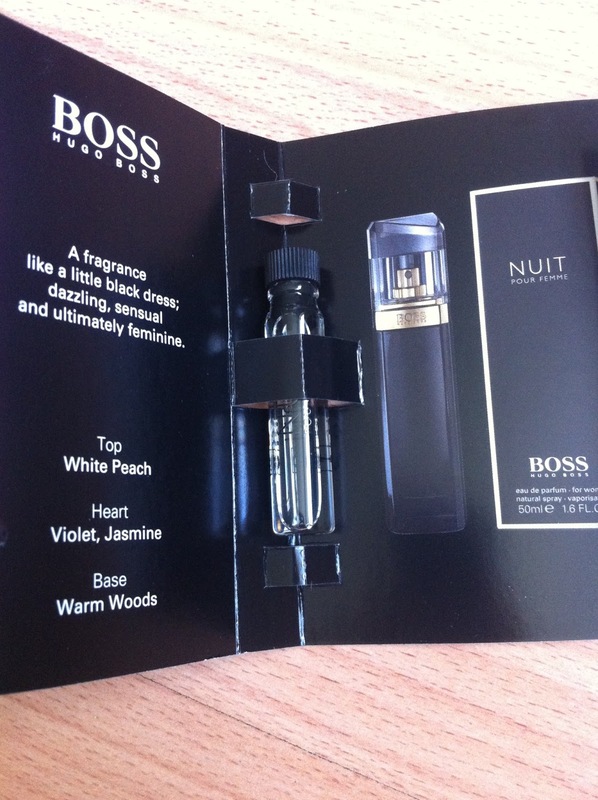 The White peach top note comes through after a while giving it a bit of a fruity, feminine feel. I am flipping enjoying wearing this fragrance because it makes me feel really elegant and sophisticated. Oo hark at me ey! Inside my sample was a picture of the packaging and I was impressed. The sleek black bottle conveys the image of the little black dress, with the gold rim and spritzer being almost like the accessories. I'd love to have this bottle on my dressing table, but I'm not so keen on the clear plastic looking lid, it just makes it look a bit cheap! All in all, I'm impressed. This perfume currently retails in Debenhams for £35.00 for 30ml and £63.00 for 75ml so a little pricey but so worth it as a glamorous night out perfume!